After the phenomenal success of the Jurassic Park trilogy, Hollywood was bound to make a sequel and Jurassic World lives up to all expectations, smashing all box office records in its opening weekend. Let’s face it, Dinosaurs sell! Rising star Chris Pratt who was so brilliant as the comic hero in Marvel’s Guardians of the Galaxy plays Raptor Animal trainer Owen while Bryce Dallas Howard (Terminator: Salvation) plays Jurassic World’s sophisticated and slick Vice-President Claire who is so into the selling points of the magnificent Jurassic World, a mega-theme park in Costa Rica, that she forgets about the imminent dangers of genetically reproducing more dangerous dinosaurs. Not to mention that Claire has been given the task of looking after her nephews, Zach and Gray wonderfully played by Nick Robinson and Ty Simpkins who are eventually caught up in the mayhem of Jurassic World after their gyrosphere ride goes haywire. The brothers, Zach and Gray firmly place Jurassic World’s target audience as males between the ages of 10 and 16, but the film is so visually spectacular that anyone would find Jurassic World irresistible in terms of special effects. 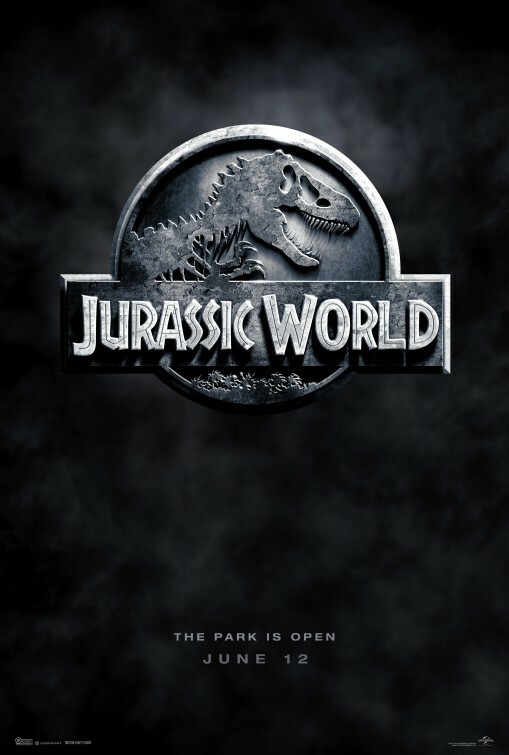 Audiences that enjoyed the original trilogy should definitely make an effort to see Jurassic World as besides the quirky onscreen chemistry between Pratt (who modelled his character on another Steven Spielberg creation, Indiana Jones) and the hapless Bryce Dallas Howard whose efficiency does not prevent an aggressive genetically modified dinosaur to escape captivity and wreak havoc in the theme park. Slumdog Millionaire’s Irrfan Khan plays the reckless billionaire Masrani, new owner of Jurassic World while Vincent D’Onofrio (The Cell, Thumbsucker) plays a gung-ho military veteran Hoskins who only sees the dinosaurs as potential killing machines for combat warfare. As the potential threat to Jurassic World, viciously ascends the food chain, the moral of the narrative soon becomes clear: never mess with what you cannot control and in scientific terms an extinction event occurs of mammoth proportions which involves humans and dinosaurs. Jurassic World has stunning visual effects, a relatable storyline and loads of action. Highly recommended viewing and as blockbusters go, extremely entertaining thanks to a wonderful onscreen chemistry between Pratt and Howard.